Cook County voters are to be congratulated for their vastly increased voter turnout in the March 15th Primary Election. Cook County Democratic Primary turnout rocketed from an anemic 277,988 in 2014 to 1,145,069 in 2016. Credit also goes to state legislators, and advocacy groups such as Chicago Votes, who successfully pushed to dramatically expand voter registration and early voting options in Illinois. Illinois may have its challenges, but to our state’s credit we continue to make voting more accessible while other states move ominously in the opposite direction. This high voter turnout – driven by intense interest in races for President and State’s Attorney - had significant impact on judicial races. As in 2008 when a comparable 1,087,642 Cook County Democrats cast ballots, gender voting trumped, even more than usual, all other judicial voting factors including institutional/party support and bar ratings. In low turnout elections like 2012 and 2014, the few voters who turned out were certainly more engaged politically and more cognizant of local elected official and Democratic party organization endorsements – endorsements which typically (though not universally) go to candidates with high bar ratings. When turnout surges, as it did in 2008 and 2016, newly energized voters who have strong opinions on races like President and State’s Attorney often face a quandary in judicial races. With practically zero media coverage of judicial campaigns, these voters face a large array of choices and unfamiliar names in the judicial section of the ballot. Many revert to ethnic and gender-based voting patterns in judicial races; few will know who their local Democratic Committeeman or Alderman supports for Judge. In 2008 and 2016, estimates show that nearly 60% of the Democratic Primary electorate was female. While it seems intuitive that women are more likely to vote for female judicial candidates, many progressive men in Democratic primaries will also vote for women or ethnic minorities in a belief that both groups deserve more representation in government and on the bench. Anecdotally, while I have heard dozens of Democratic men over the years tell me they automatically vote for female candidates for judge for these reasons, I have never heard anyone - of either gender - tell me that they automatically vote for male candidates for judge in Democratic Primaries. In 2016, four male countywide judicial candidates with strong bar ratings slated by the Cook County Democratic Party lost their elections – a much larger number than expected. Two of these slated male candidates lost to women with Irish surnames, one lost to a Latina and one lost to an Irish surnamed male candidate in a one-on-one race. Two late-breaking vacancies in the north suburban 12th subcircuit left judicial candidates with very little time to communicate with voters; these races thus present a useful barometer on judicial voting behavior. In the Kazmierski vacancy, won by Marguerite Quinn, the two female candidates accounted for 75.54% of the vote, while the slated male candidate won only 11.95% of the vote. In the Mathein vacancy, my client Janet Cronin Mahoney won 78.8% of the vote against a male candidate who had the advantage of having the same name as the vacancy. In the south and west sides of the county, multiple male candidates with strong bar ratings who were slated by the Democratic Committeemen in their own subcircuits lost to female candidates who spent very little on voter contact and did not participate in the bar evaluation process. Of course, there are highly qualified candidates of both genders who win or lose elections based on factors other than their qualifications. Ballot position and a unique name (such as the new Democratic nominee for 1st subcircuit Judge, Jesse Outlaw) certainly help – as does the quality of the campaign. But judicial election results from the past several election cycles show that as turnout goes up, candidates must work even harder to overcome a natural predisposition of the primary electorate towards gender or ethnic-based voting behavior. Sean Tenner is a political consultant specializing in judicial campaigns and President of KNI Communications (www.KNICommunications.com). Tenner has an enviable record of success in the judicial campaigns he's quarterbacked. While not all of his clients won their races in the recent primary, Tenner did run campaigns for Judge Eve Marie Reilly (the candidate who wasn't slated in the 10th Subcircuit... and then was), 9th Subcircuit Judge Jerry Esrig, 6th Subcircuit Judge Anna Loftus (who was also not slated), and 12th Subcircuit candidate Janet Mahoney. 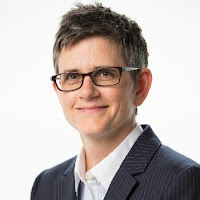 Another 12th Subcircuit client of Tenner's, Judge Carrie Hamilton, faced no primary opponent -- but will face a contested election in November, as will Tenner client Judge Ketki "Kay" Steffen. Tenner can be reached at STenner@KNICommunications.com or (312) 576-8822. I was going to get to this sooner... but then the AJ short list came out and bumped this off the top of the pile. Doesn't it seem like the March primary was six months ago? Such is the frenetic pace of the modern world. Nevertheless, the votes were counted only 17 days ago. My calendar says it's still March, if barely. Judge Daniel P. Duffy (Ruscitti Grussel vacancy). Patrick J. Powers (Walsh vacancy), defeating slated candidate Judge Fredrick H. Bates in a one-on-one contest. Six judges serving pursuant to Supreme Court appointment had to face the voters in contested countywide primaries; four of the six prevailed. Was 2016 another Year of the Woman? Six of the contested primary winners are female. Of the two male winners, only Judge Duffy prevailed in a field in which there was a female candidate. Is this an Irish-surname Renaissance? Conlon, Duffy, Gallagher, McHugh, Powers, arguably Gillespie (the Scots have a claim on this surname as well)... as for the outliers, Judge Fernandez bested a male candidate with a Polish surname -- but Susana Ortiz beat Pat Heneghan. Heneghan may not be the most common Irish name, but it's hard to mistake its origins, right? Turnout was huge for this year's primary, particularly as opposed to the dismal turnout in 2014. High turnout has a tendency to dilute the value of party slating. Voters "with Hilary" or "Feeling the Bern" may not have spent a lot of time looking at the judicial races before coming out to support their candidate. Were the slated countywide judicial candidates victims, in some sense, of the high turnout? Was union support a major factor here? Six of the eight contested countywide primary winners had the backing of the Chicago Federation of Labor, including all four of the slated primary winners. Carolyn Gallagher and Mary Kathleen McHugh also had the CFL endorsement and won -- but Heneghan and Judge Bates did not prevail despite the CFL's nod. I have lots of questions, but (and this is why I'll never make it on CNN or MSNBC) no assurance that I have all the answers. I did reach out to a number of people after the primary who have, I belive, valuable perspectives on the outcomes. I've heard back from some already; I expect to hear from more before long. But to start matters rolling, I will put up a guest post by judicial election consultant Sean Tenner. Look for that post later today. In a comment to one of my posts about the current crop of Associate Judge finalists, an alert reader pointed out that one of these, Judge Marc Martin, was rated "Highly Qualified" by the CBA for the recent primary -- but I had written that the CBA had not rated any finalist "Highly Qualified." Well... come to think of it, two other AJ finalists, Tom Cushing and Pat Heneghan, had also been rated "Highly Qualified" for the primary. Was there a typo? I reached out to Pat Milhizer, Director of Communications for Chief Judge Timothy C. Evans' office -- and he assured me that, no, this was the information with which his office had been provided -- so I followed up with Therese Kurth, who coordinates judicial evaluation matters for the CBA. As to each candidate for an office other than Associate Judge or for retention, the question shall be whether the candidate shall be found "HIGHLY QUALIFIED", "QUALIFIED," or "NOT RECOMMENDED." As to each candidate for the office of Associate Judge or for retention to any office, the question shall be whether the candidate shall be found “QUALIFIED” or “NOT RECOMMENDED”. Carmel M. Cosgrave, a partner at Smith Amundsen and the current Chair of the CBA JEC, explained that, because of the large number of judicial candidates, the CBA has had to try and find ways to streamline the evaluation process. An 'up or down' rating for AJ candidates is one of these. Of course, Cosgrave added, sometimes candidates who apply both for Associate Judge and plan a primary run, wind up with two evaluations, one for each process. I asked Cosgrave, is the CBA JEC hurting for members? One hears rumors, I told her. Not so, Cosgrave assured me. In fact, in the last two to three years, as the economy has improved, there's been a resurgence of interest in serving on the JEC, Cosgrave said. However, there are more candidates than ever, she added, and many candidates are coming forward who have not previously been investigated, meaning there are many more new investigations for the JEC to conduct. And, of course, retention season is almost upon us. However, many hands make light work. Also, Cosgrave stressed, the CBA JEC is striving for diversification, looking not only for more variety in terms of ethnicity or gender but also experience. It would be helpful for more experienced lawyers to come forward, Cosgrave said, because so many JEC volunteers tend to be younger. The Committee will automatically find without further investigation or hearing, a candidate "NOT RECOMMENDED" for a judicial office in a primary or general election if that candidate has participated in the evaluation of other judicial candidates for that same primary or general election. In Part I, FWIW looked at those 2016 Cook County Associate Judge finalists who were either candidates in the recent primary or had been finalists in the 2014 associate judge selection process. This post looks at the remaining finalists. Sophia Jane Atcherson has been licensed as an attorney in Illinois, and working as an Assistant Public Defender in Cook County, since 1997. She currently serves as Chief of the Legal Resources Division at the Public Defender's office, handling appeals and post-conviction cases. Most of her time in that office, however, was spent in the Felony Trial Division, becoming an attorney supervisor there in 2012. Atcherson is a member of the Illinois Supreme Court Committee on Jury Instructions in Criminal Cases, and a member of the Illinois Supreme Court Committee on Character and Fitness. She has also served as an adjunct professor at John Marshall Law School, according to her LinkedIn page. 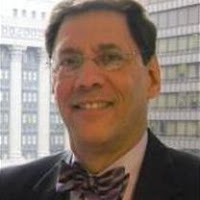 Jeffry S. Blumenthal is a partner in the Loop law firm of Slutzky & Blumenthal, a firm which, according to its website, has a "practice almost exclusively devoted to Cook County real estate tax collection and enforcement litigation." Licensed as an attorney in Illinois since 1979, Blumenthal has also taught legal writing and legal research at John Marshall Law School. According to his firm website, Blumenthal is a co-author, with David R. Gray, Jr., of Chapters 10 and 11 of the IICLE Real Estate Taxation handbook, published in 2008. 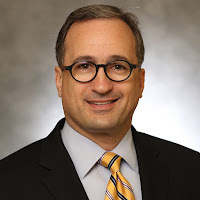 George Louis Canellis, Jr. is an Assistant Cook County State's Attorney and has been licensed as an attorney in Illinois since 1996. According to his LinkedIn page, Canellis serves as Supervisor of Felony Review. Vincenzo Chimera is an Illinois Assistant Attorney General and has been licensed in Illinois since 1984. According to his LinkedIn page, Chimera currently serves as Deputy Chief of Criminal Enforcement at Illinois Attorney General's Office. Chimera also serves as a board member of The Port Ministries, according to his LinkedIn page. Joel Louis Chupack is a partner in the Loop firm of Heinrich & Kramer, P.C., focusing his practice in the area of real estate litigation. 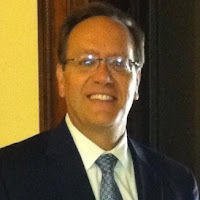 Licensed as an attorney in Illinois since 1982, Chupack is a former President of the Decalogue Society of Lawyers. He has also served as Chair of the Illinois State Bar Association Real Estate Law Section Council and as an ISBA Assembly member. 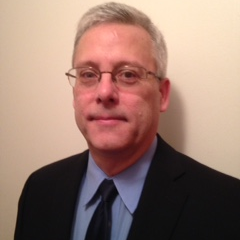 Mark Vincent Ferrante is a solo practitioner with offices in the Loop. According to a biography appended to his firm website, Ferrante has operated his own firm since 1991. 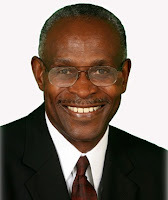 He began his legal career in 1983 as an Assistant Corporation Counsel for the City of Chicago. Ferrante was a candidate for a 6th Subcircuit vacancy in the 2012 primary. In 2005, according to his firm website, Ferrante received an "Excellence in Pro Bono and Public Interest Service Award" from the United States District Court for the Northern District of Illinois for his work as trial bar appointed counsel for the plaintiff in a lawsuit involving a stabbing incident at Cook County Jail. Mohammed Mujahid Ghouse owns and operates the Ghouse Law Office in Bridgeview, focusing in criminal law, real estate law, and corporate transactional law. He has been licensed as an attorney in Illinois since 1998. Ghouse served as an Assistant State's Attorney from 1998 to 2004, ultimately working in the Felony Trial Division in Bridgeview. He has been an adjunct professor at Moraine Valley Community College, teaching criminal procedure and substantive criminal law. Robert Wade Johnson is, according to ARDC, the principal of Robert Johnson, P.C., with an office in Chicago's Loop. He has been licensed in Illinois since 1994. Mary Catherine Marubio is an Administrative Law Judge for Illinois Department of Financial and Professional Regulation. Since May 2014, Marubio has also served as the agency's Ethics Officer. She joined the agency as Chief of Business Prosecutions - Statewide Enforcement in early 2012, serving as Acting Chief of Health Related Prosecutions - Statewide Enforcement, prior to assuming her present duties as an ALJ in early 2014. She has been licensed as an attorney in Illinois since 1997. Before joining IDFPR, Marubio had her own law practice, serving, among other things, as General Counsel for the Columbian Consulate in 12 Midwestern states. Marubio is active in a number of bar associations, including current service as the Co-Chair of the Women’s Bar Association of Illinois Administrative Law Committee. Marubio has also been active as a board member or advisory board member of the ACLU of Illinois. Lisette C. Mojica is a Cook County Assistant State's Attorney assigned, according to ARDC, to the Juvenile Justice Bureau. She has been licensed in Illinois since 1997. 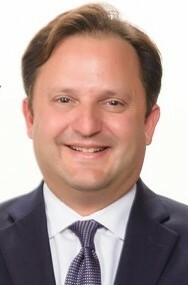 David Ricardo Navarro is currently Chief of the Public Integrity Bureau in the Illinois Attorney General's Office, handling allegations of statewide corruption. He worked as an Assistant Cook County States Attorney from 1994 to 2009, serving at one point as supervisor of the Professional Standards Unit, investigating police corruption and excessive force allegations. He was appointed as a Special Assistant United States Attorney to work on a corruption investigation involving the Chicago Police Department Special Operations Section. Navarro has been licensed in Illinois since 1993, according to ARDC. Marian Emily Perkins operates the Law Office of Marian E. Perkins, P.C., in Chicago's Loop. She has been licensed as an attorney in Illinois since 1987. 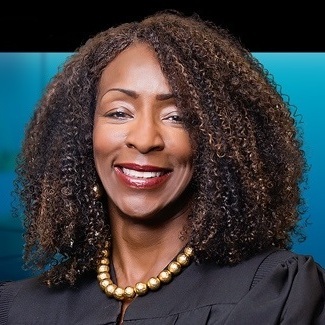 A past president of the Cook County Bar Association, Perkins is also a longtime member of the Criminal Justice faculty at Chicago State University, currently serving as Chairperson of the department. 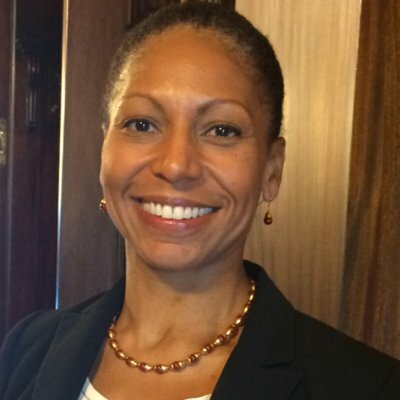 According to her LinkedIn page, Perkins began her legal career in the office of the Illinois State Appellate Defender; she also worked for several years as an Assistant Cook County State's Attorney. Gregory Gerard Plesha has maintains a law office on South Western Avenue in the Beverly neighborhood since 2002. Since 2004, Plesha has also served as a hearing officer for the Chicago Department of Administrative Hearings and, since 1996, as a hearing officer for the Village of Merrionette Park. From 2003-2011, Plesha was also a hearing officer for the Illinois Toll Highway Authority. He was an Assistant State's Attorney from 1986 to 1993. Plesha worked for Johnson & Bell, Ltd. in 1993-94. A member of the adjunct faculty at South Suburban Community College since 1993, Plesha has been licensed as an attorney since 1986. 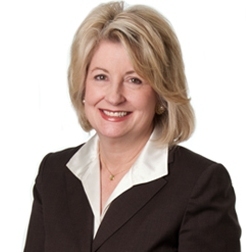 Marita Clare Sullivan has served as litigation counsel for the ARDC since 2000. Before that, Sullivan was Assistant to the Director of the Helen Brach Foundation, assisting with the administration of the charitable foundation's grant program. She began her career as an Assistant Attorney General, serving for 12 years in the General Division, before moving to Civil Appeals shortly before the end of her tenure there. Sullivan has been licensed in Illinois since 1984. Jeanne Marie Wrenn is a Senior Director, General Counsel and Ethics Counsel for the National Safety Council. According to her LinkedIn page, Wrenn (now officially listed as Jeanne Wrenn Ritchie, per ARDC) previously served as Ethics and EEO Officer for PACE. She has been licensed as an attorney in Illinois since 2003, beginning her career in the office of the Cook County State's Attorney. After service there in the Traffic and Narcotics Divisions, Wrenn was assigned to the Legislative Unit, acting as a legislative liaison to the Illinois General Assembly, rising to Supervisor from December 2008 until she joined PACE. Four Circuit Court judges, sitting pursuant to Supreme Court appointment, are among the 26 Cook County associate judge finalists announced yesterday. These are Maryam Ahmad, Jean Margaret Cocozza, Marc William Martin, and Anthony E. Simpkins. Ahmad and Simpkins were defeated in their bids to hold the 1st Subcircuit Brim and Hopkins vacancies to which they'd been appointed; Martin was defeated in his bid to hold the 11th Subcircuit seat to which he'd been appointed. Cocozza was not a candidate in this year's primary. Cocozza has served in the judiciary since 2013; she is currently serving in an appointment to the countywide Love vacancy. Two other finalists, Thomas Maloney Cushing and Patrick Joseph Heneghan, were candidates in the 2016 primary. Cushing lost his race against Judge Aleksandra "Alex" Gillespie for the countywide Howlett, Jr. vacancy. Cushing was not the slated candidate. Heneghan, however, was slated by the Cook County Democratic Party in his race for the late-opening, countywide Palmer vacancy, but lost to Susana L. Ortiz. Julie Aimen is a solo practitioner with an office in the Loop. 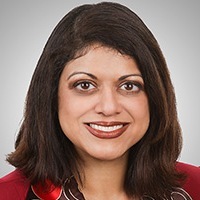 Licensed in Illinios since 1984, Aimen, according to her firm website, is a past president of the Illinois Attorneys for Criminal Justice, a former member of the Board of Directors of the National Association of Criminal Defense Lawyers, and a former member of the Board of Governors of the Chicago Council of Lawyers. Geraldine D'Souza has been licensed as an attorney in Illinois since 1992. She has served as an Cook County Assistant State's Attorney for 22 years, currently serving as a first chair prosecutor at 26th Street. D'Souza worked as an ASA in Kankakee County before that. She is the daughter of Indian and Chilean immigrants, and is fluent in Spanish. According to her LinkedIn page, Tiffany Ferguson is the President of T.M. Ferguson & Co., a new firm launched at the beginning of 2016. 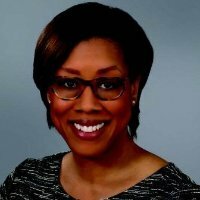 On LinkedIn, Ferguson describes herself as a "[h]ands-on, strategic legal analyst with 20 years experience as a litigator and trial attorney concentrating in the representation of management in labor and employment litigation with broad experience in commercial litigation and fraud-related investigations." Before setting up T.M. Ferguson & Co., Ferguson worked for Quintairos, Prieto, Wood, & Boyer, P.A., and Pugh, Jones & Johnson, P.C. She is also a member of the Board of Commissioners of the Chicago Commission on Human Relations. According to ARDC, Ferguson has been licensed as an attorney in Illinois since 1996. Sanju Oommen Green is an Assistant State's Attorney, serving as a first chair prosecutor at 26th Street. Licensed in Illinois since 2000, Green is the Immediate Past President of the Asian American Bar Association. According to the AABA website, Green is a "founding member of the Chicago Chapter of the National Asian Pacific Islander Prosecutors Bar Association and also served as secretary on its national board." She has also volunteered for Cabrini Connections. Edward Nicholas Robles has been licensed as an attorney in Illinois since 1988. According to his LinkedIn page, Robles is Deputy General Counsel- Litigation for the Chicago Housing Authority. More on the rest of the finalists in the next post. In a press release accompanying the announcement of the finalists, Cook County Chief Judge Timothy C. Evans said that the Nominating Committee of the Circuit Court of Cook County employed a comprehensive approach in the selection process that considered multiple aspects such as legal excellence, a variety of legal experience in the public and private sectors, and diversity of race, ethnicity, and gender. Every finalist was rated qualified, recommended or better by both the Chicago Bar Association and each of the 11 bar associations that together comprise the Alliance of Bar Associations for Judicial Screening with two exceptions. The Puerto Rican Bar Association did not have the opportunity to interview Joel Louis Chupack and the Hispanic Lawyers Association of Illinois did not have an opportunity to interview Jean Marie Cocozza. No finalist received a "Highly Qualified" rating from the CBA, but seven finalists were rated "Well Qualified" by the Chicago Council of Lawyers, Julie Bess Amien, Vincenzo Chimera, Thomas Maloney Cushing, Tiffany Mary Ferguson, Mark Vincent Ferrante, Sanju Oommen Green, and Patrick Joseph Heneghan. Three finalists were rated "Highly Qualified" by the Illinois State Bar Association, Bess, Heneghan, and Mary Catherine Marubio. Marian Emily Perkins was the only finalist rated "Highly Recommended" by the Cook County Bar Association. Nine finalists were deemed "Highly Recommended" by the Decalogue Society of Lawyers, Cushing, Ferrante, Green, Heneghan, Marubio, Lisette C. Mojica, David Ricardo Navarro, Gregory Gerard Plesha, and Marita Clare Sullivan. The HLAI found Maryam Ahmad, Ferrante, and Heneghan "Highly Qualified." The PRBA found Ahmad, Chimera, Ferrante, Heneghan, Navarro, and Robert Wade Johnson to be "Highly Recommended." Five finalists were found "Highly Recommended by the Lesbian and Gay Bar Association of Chicago, Marc William Martin, Green, Marubio, Mojica, and Navarro. Several Alliance members do not award any rating higher than "Qualified" or "Recommended." Multiple sources have confirmed to FWIW that the Cook County associate judge finalists have been notified. As per Supreme Court Rule 39(b)(3), there will be two finalists for every vacancy. Supreme Court Rule 39(b)(4)(i) provides, "In judicial circuits having a population of more than 500,000, the chief judge shall notify the Director of the names of those candidates selected by the nominating committee and request that the Director initiate the balloting process. Within 14 days after the chief judge’s notification, the Director shall place the name of each candidate on a ballot in alphabetical order. The ballot shall also contain blank spaces equal in number to the number of vacancies to be filled, in which spaces may be written the name of any qualified applicant whose name does not appear on the ballot as a candidate." Rule 39(b)(5) provides that the full circuit judges eligible to vote must return their ballots within 14 days. The new class of associate judges will be named in roughly a month. 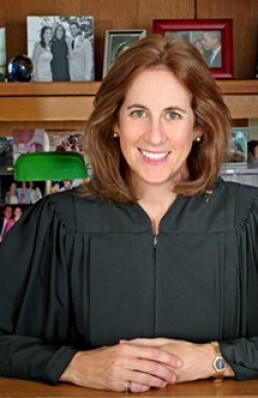 In an order entered today, the Illinois Supreme Court appointed Circuit Court Judge Eileen O'Neill Burke to the Epstein vacancy on the Illinois Appellate Court. The appointment is effective March 31 and will terminate on December 5, 2016 -- the day that Judge Burke will be sworn in as the winner of the election to the Epstein vacancy. Judge Burke won the Democratic Party's nomination for this vacancy yesterday (she was unopposed). Since no Republican filed for the vacancy, she will unopposed in the November general election as well. Judge Stuart Palmer had been serving in this vacancy pursuant to a prior Supreme Court appointment. Judge Palmer recently retired; the vacancy created by that retirement was among those also on the ballot yesterday. Judge Marc Martin is trailing Catherine Ann Schneider by 917 votes in the race for the 11th Subcircuit Kelly vacancy with just a few precincts still outstanding (one in the suburbs and two in the City). Schneider has 22,758 votes, Martin 21,841. Marin narrowly carried the City portion of the 11th Subcircuit, but Schneider has a roughly 1,900 vote advantage in the suburbs. Associate Judge Leonard Murray won the Democratic nomination for the Eadie-Daniels vacancy in the 5th Subcircuit. With only four of 213 precincts yet to report, Judge Murray holds a nearly 4,700 vote lead over Jameika Mangum. Judge Robin Denise Shoffner was appointed to the Williams vacancy by the Illinois Supreme Court, but she has lost her bid to retain that seat tonight. With only four precincts yet to report, Daryl Jones has a better than 8,400 vote lead. Jones was apparently serving as a member of the Chicago Bar Association's Judicial Evaluation Committee at "the beginning of the election year"; he was therefore automatically rated Not Recommended by the CBA. (The CBA is presumably concerned that confidence in the group's evaluations might be shaken if someone actively serving on the evaluation committee were to receive a positive evaluation for judicial office.) Jones was also found Not Qualified by the ISBA -- but he was rated Qualified or Recommended by all of the other Alliance bar groups. There was a third 5th Subcircuit race on the ballot. Judge Freddrenna M. Lyle was unopposed in this race. Because no Republicans filed for any of these vacancies, the winners of these races will be unopposed in November. Jesse Outlaw has apparently ousted Judge Maryam Ahmad in the race for the Brim vacancy in the 1st Subcircuit. With 42 of 45 suburban precincts reporting, and 222 of 226 Chicago precincts counted, Outlaw has 35,566 votes, Ahmad 32,605. Both Ahmad and Outlaw had positive bar ratings. Outlaw did not participate in the CBA screening process and was automatically rated Not Recommended by that group, but he had positive ratings from every one of the Alliance bar groups. 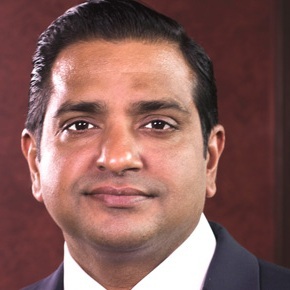 Ahmad had positive ratings from every bar group, including a Highly Qualified rating from the Hispanic Lawyers Association of Illinois and a Highly Recommended rating from the Puerto Rican Bar Association. Crawford did not submit her credentials for screening by any of the bar associations. D. Renee Jackson did not submit her credentials for scrutiny by either the Chicago Bar Association or the Alliance of Bar Associations for Judicial Screening. She was automatically rated not recommended by every one of those bar groups. But Jackson has apparently prevailed over three other candidates in the race for the Savage vacancy in the 2nd Subcircuit, all of whom had positive bar ratings. With only three of 137 City precincts still outstanding and only five of 131 suburban precincts still to report, Jackson has 25,275 votes, 9,000 more than Chelsey R. Robinson, who has 16,150 votes. Celeste K. Jones is running third in this race, with 15,658 votes. 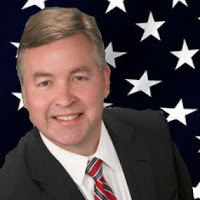 James Edward Hanlon, Jr. has defeated former Judge Allan W. Masters for the Democratic nomination for the "A" vacancy in the far north suburban 12th Subcircuit. In the November general election Hanlon will face Steven A. Kozicki, who bested Alex Kaplan for the Republican nomination. Janet Cronin Mahoney easily won the Democratic nomination for the Mathein vacancy in the 12th Subcircuit. The Republican candidate for this vacancy, James Leonard Allegretti, was unopposed. Hanlon and Mahoney were both slated by local Democratic committeemen for these vacancies. The Democratic Party's slated candidate for the Kazmierski, Jr. vacancy in the 12th Subcircuit, Louis George Apostol, did not fare as well. Associate Judge Marguerite Anne Quinn was the clear winner in this four-person race. Judge Quinn will face Republican candidate Thomas William Flannigan for this vacancy; Flannigan had no opposition in the Republican primary. There is a fourth vacancy in the 12th Subcircuit as well, but Judge Carrie Hamilton faced no opposition in the Democratic primary and David Studenroth was likewise unopposed in the Republican primary. There was a Republican primary contest in the far northwest suburban 13th Subcircuit. With nearly 97% of the votes counted there, Kevin O'Donnell has apparently defeated Gary W. Seyring by around 3,500 votes, 18,347 to 14,788. O'Donnell will face the unopposed winner of the Democratic primary, Judge Ketki "Kay" Steffen, in November. With almost 93% of the City votes counted, Patrick Joseph Powers holds a slim lead over Judge Fredrick H. Bates, 220,226 to 213,778. But the margin is greater in the suburbs, where Powers' lead is around 39,000 votes, 175,354 to 137,729. Powers was named on palm cards in at least two City wards today instead of Bates, though Bates was the officially slated candidate. With a greater than 11,000 vote suburban margin, Judge Jerry Esrig seems to have won his race against Thomas Peter Kougias in the race for the Berman vacancy in the 9th Subcircuit. Esrig also has a 2,500 vote lead over Kougias in the City portion of the 9th Subcircuit. But another appointed judge, Judge Marc Martin, is trailing Catherine Ann Schneider by almost 700 votes in the race for the Kelly vacancy in the 11th Subcircuit. With just over 95% of the City votes counted and nearly 90% of the suburban votes tallied, Martin has 20,278 votes, while Schneider has 20,976. James DiChristofano was also a candidate for this vacancy. A cliffhanger shaping up in the 7th Subcircuit? Jennifer Ballard was slated by the local Democratic committeemen for the Rivkin-Carothers vacancy in the 7th Subcircuit. Ballard is a partner at Hinshaw & Culbertson, but she is young -- graduating from law school only eight years ago, in 2008. Because of her comparatively few years in practice, despite her professional successes so far, Ballard was unlikely to receive favorable ratings from any evaluating bar associations -- and she did not participate in the evaluation process. Judge Patricia "Pat" S. Spratt was appointed to the Rivkin-Carothers vacancy by the Illinois Supreme Court, and she has strong bar evaluations. Assistant Public Defender Rosa Silva is one of four other candidates who sought this vacancy. Silva has over 5,000 votes in the suburban precincts of the 7th Subcircuit, with 94.4% of the suburban votes tallied, more than either Spratt or Ballard, but when the City votes are added in, Ballard and Spratt are pacing the field, and are engaged in a fairly close race. At this point, Judge Spratt is leading with 14,485 votes to Ballard's 13,064. Ortiz has 324,339 votes, with nearly 87% of the votes counted in the suburbs and almost 82% of the City vote counted, while Heneghan has polled 255,177 votes to this point. Heneghan was pre-slated by the Democratic Party, and was plugged into this race when the Palmer vacancy opened up at almost the last possible moment. 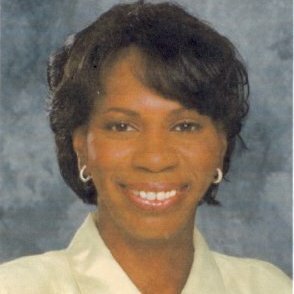 Incumbent Clerk of the Circuit Court Dorothy Brown seems to be holding her lead in her bid to be nominated for another term. Brown has received 365,404 votes, with 79% of the City vote, and nearly 81% of the vote in the suburbs, counted so far. Brown's nearest challenger, 8th Ward Ald. Michelle Harris, trails with 235,935 votes. Judge Alison C. Conlon has a sizable lead over Michael I. O'Malley in both the City and suburbs at this point in the vote-counting. In her bid to hold the Hogan vacancy, Conlon has a total of 295,730 votes (with 73% of City precincts and 74% of suburban votes), with 280,671 votes for O'Malley. Both Judges Conlon and Gillespie enjoyed the support of the Cook County Democratic Party. With nearly 70% of City precincts reporting, Judge Rossana P. Fernandez has a commanding lead in the race for the countywide Elrod vacancy, besting Scott Edward Lipinski by a better than 2-1 margin, 234,287 to 102,317. Judge Anna Loftus, who was passed over by local Democratic committeemen in favor of Carlos Claudio, has a nearly 3,000 vote lead over Claudio with just over 62% of the votes counted. Loftus has 15,524 votes at this point; Claudio has 12,585. Judge Eve Marie Reilly seems to be holding a significant lead over nearest challenger Colleen Reardon Daly in the race for the 10th Subcircuit Howard vacancy. Reilly, who was initially bypassed for slating by local Democratic committeemen, but then slated when the first slated candidate withdrew from the race, has 13,576 votes in the City, with nearly 70% of the votes counted, to 10,322 votes for Colleen Reardon Daly. These suburban figures are matched by results from the City of Chicago. With just over 66% of precincts reporting, Duffy has 134,897 votes, Torres-Linares 114,413. Mary Kathleen McHugh has a significant lead at this moment in the race for the countywide Karnezis vacancy, leading Judge Devlin Schoop by almost 40,000 votes in the City of Chicago. With nearly 62% of City precincts reporting, McHugh has 139,659 votes, Schoop 99,884. Cook County Circuit Court Clerk Dorothy Brown was dumped by the Democratic Party, but the voters have apparently been more forgiving. With nearly 62% of the City votes tabulated, Dorothy Brown leads her nearest challenger, 8th Ward Ald. Michelle Harris, by some 67,000 votes. With 55% of precincts reporting, Carolyn J. Gallagher has 34.31% of the vote (89,631 votes so far) in the five-candidate field for the countywide Johnson vacancy, leading her nearest challenger, Mark A. Lyon, by over 36,000 votes. Here is where FWIW attempts to organize all the data -- links to the websites, questionnaire responses, video appearances, all the evaluations, all the endorsements I can independently verify -- all so you, the voter, can make the most informed choices possible when you vote for judges in Cook County. What follows is a list of the various Cook County judicial contests. Each vacancy on the list is a link to a roundup post about that race. Voters can navigate back and forth from this post to any linked contest on their ballot in which they may be interested. Each linked post has links that will take you to campaign websites, video interviews, candidate statements or other roundups that may be of interest. A link at the bottom of each post will bring you right back here. Fair warning to persons visiting on their phones: Although I've done what I can to make this site 'mobile-friendly,' it may be easier to navigate from this post on a laptop or a desktop computer. If you're on the train, then, bookmark this site and try it at home. Please note: Scrolling down the page will not get you to all the Organizing the Data posts. Some are posted on page two of this blog. * Judge Carrie Hamilton is the only Democrat in this race; in addition, only one Republican, David Studenroth, filed for this vacancy. Therefore, neither candidate faces a primary contest, but this will be one of the few judicial contests where voters will have a choice in November. ** Judge Ketki "Kay" Steffen faces no opponent in the Democratic Primary, but two candidates, Kevin O'Donnell and Gary W. Seyring are contesting for the Republican nomination for this vacancy. Candidates are listed in the order that they appear on the ballot in the Democratic primary; no Republican filed for this vacancy. This contest was profiled in the Chicago Daily Law Bulletin. Jesse Outlaw declined to participate in the Judicial Evaluation Committee (JEC) screening process and, therefore, according to The Chicago Bar Association’s governing resolution for the JEC, is automatically found NOT RECOMMENDED. Maryam Ahmad is “Qualified” for the office of Circuit Court Judge. Ms. Ahmad was admitted to practice law in Illinois in 2000 and was engaged in private practice for several years before becoming an Assistant Cook County Public Defender in 2004. Ms. Ahmad served as a trial attorney with the Cook County Public Defender’s office until 2007 when she became an Assistant Cook County State’s Attorney. Ms. Ahmad is currently assigned to the Felony Trial Division at the George Leighton Criminal Court. Ms Ahmad is well regarded by her peers and adversaries for her knowledge of the law, excellent legal ability and trial skills, work ethic, compassion, and commitment to public service. Back to "Start here for the most complete information about every Cook County judicial contest"
Two candidates filed for the Democratic nomination for this vacancy, two filed for the Republican nomination. The Democratic candidates are listed first. Both contests were profiled in the Chicago Daily Law Bulletin (Democratic contest; Republican contest). James Edward Hanlon, Jr. is “Qualified” for the office of Circuit Court Judge. 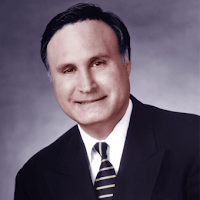 Mr. Hanlon was admitted to practice law in Illinois in 1984 and worked as an associate and partner at a large Chicago law firm concentrating in commercial litigation. In 2000, Mr. Hanlon became an equity partner at another large firm where he worked until 2007. From 2007-2009, Mr. Hanlon was engaged in the solo practice of law concentrating in commercial litigation and criminal misdemeanor matters. In 2009, Mr. Hanlon became Director of Client Services for Novus Law, LLC, where his duties included e-discovery, document review, and management analysis. Mr. Hanlon is well rounded in the practice of law and has considerable experience in complex commercial litigation matters. Mr. Hanlon has a fine temperament and possesses all the requisite qualifications to serve as a Circuit Court Judge. Judge Allan W. Masters is “Qualified” to serve as a Circuit Court Judge. 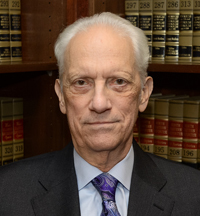 Judge Masters was admitted to practice law in Illinois in 1967 and was appointed to the bench in 2001-2005. Judge Masters has a fine demeanor and possesses the requisite legal knowledge and experience to serve as a Circuit Court Judge. Alex Kaplan declined to participate in the Judicial Evaluation Committee (JEC) screening process and, therefore, according to The Chicago Bar Association’s governing resolution for the JEC, is automatically found NOT RECOMMENDED. Steven A. Kozicki is “Qualified” for the office of Circuit Court Judge. Mr. Kozicki was admitted to practice law in Illinois in 1985 and is currently engaged in private practice concentrating primarily in criminal defense work. Mr. Koziciki has extensive jury and non-jury trial experience and is well regarded for his legal knowledge, ability, and thoughtful demeanor. Four candidates filed as Democrats for this vacancy and one Republican. The Democratic candidates are listed first. The Democratic primary contest was profiled in the Chicago Daily Law Bulletin. Louis G. Apostol is “Qualified” for the office of Circuit Court Judge. 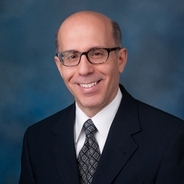 Mr. Apostol was admitted to practice law in Illinois in 1980 and has 33 years of experience, most recently as Executive Director of the Property Tax Appeal Board (PTAB). Mr. Apostol has extensive practice experience and is well regarded by his peers. Mr. Apostol also served as a Judge on the Court of Claims and possesses all the requisite qualifications to serve as a Circuit Court Judge. Judge Margarite Quinn is “Highly Qualified” for the office of Circuit Court Judge. Judge Quinn was admitted to practice law in Illinois in 1986 and was appointed an Associate Judge in 2007. Judge Quinn is currently assigned to the Second Municipal District and presides over domestic violence and criminal cases. Judge Quinn has managed both civil and criminal trial calls and is well regarded for her knowledge of the law, judicial ability, and fine temperament. Jennifer E. Bae is “Qualified” for the office of Circuit Court Judge. Ms. Bae was admitted to practice law in Illinois in 1997 and is engaged in private practice concentrating in criminal defense work. Ms. Bae is an experienced practitioner and possesses all the requisite qualifications to serve as a Circuit Court Judge. Frank Andreou is “Highly Qualified” for the office of Circuit Court Judge. 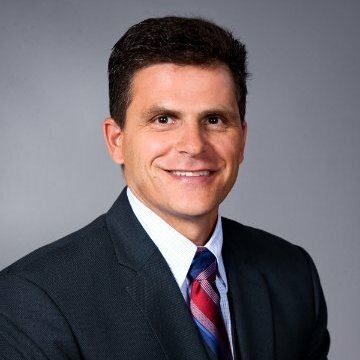 Mr. Andreou was admitted to practice law in Illinois in 1995 and is currently engaged in private practice concentrating in personal injury, commercial and employment litigation matters. Mr. Andreou has extensive practice and trial experience and is well regarded for his knowledge of the law, legal ability, and fine temperament. Thomas W. Flannigan is “Not Recommended” for the office of Circuit Court Judge. Mr. Flannigan was admitted to practice law in Illinois in 1983 and is currently engaged in private practice concentrating in civil litigation matters. While Mr. Flannigan has varied court experience, at this stage of his career he does not possess the depth and breadth of legal experience to serve as a Circuit Court Judge.